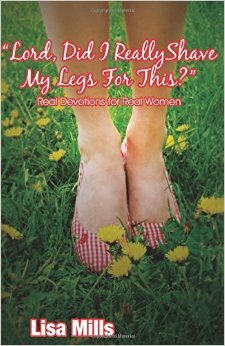 “Lord, Did I Really Shave My Legs For This?” is a collection of real devotions for real women. Lisa Mills shows us that spending time with your Creator isn't much different than spending time with your best friend. She insists that your time spent with God doesn't have to be super spiritual, but more importantly, filled with much love and yes, lots of laughter. Whether you are a new believer or one who has served Him for years, these pages will certainly bless your quiet time with the Lord. . .that is, if you can laugh quietly while reading them!